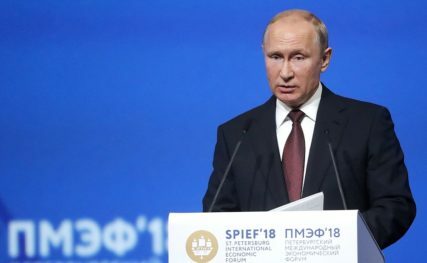 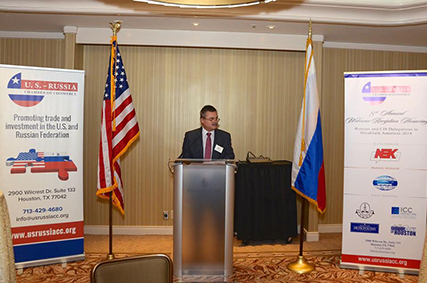 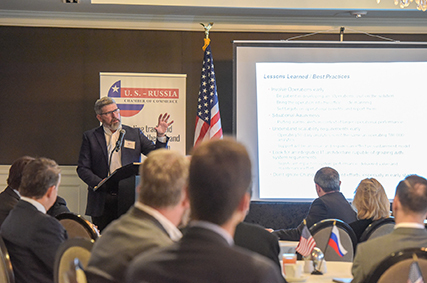 On April 22, 2016 the U.S.-Russia Chamber of Commerce hosted a reception honoring Sergey Cheremin, Minister and Head of the Department of External Economic and International Relations and Moscow City Delegation. 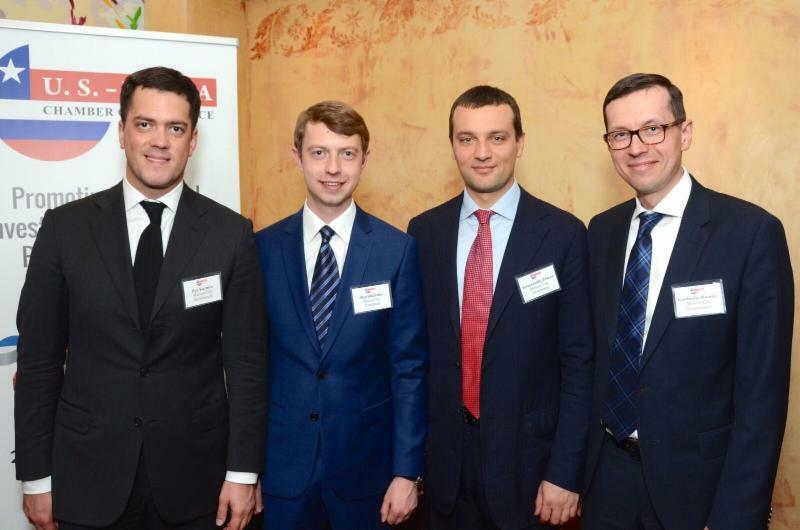 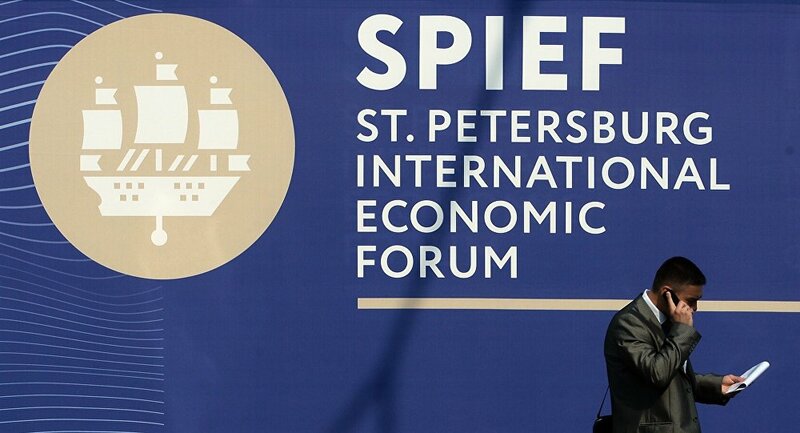 Sergey Cheremin came to Houston to sign a program of cooperation between the City of Moscow and the City of Houston. 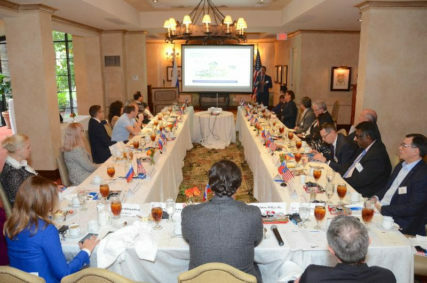 The reception was attended by business executives and government officials. 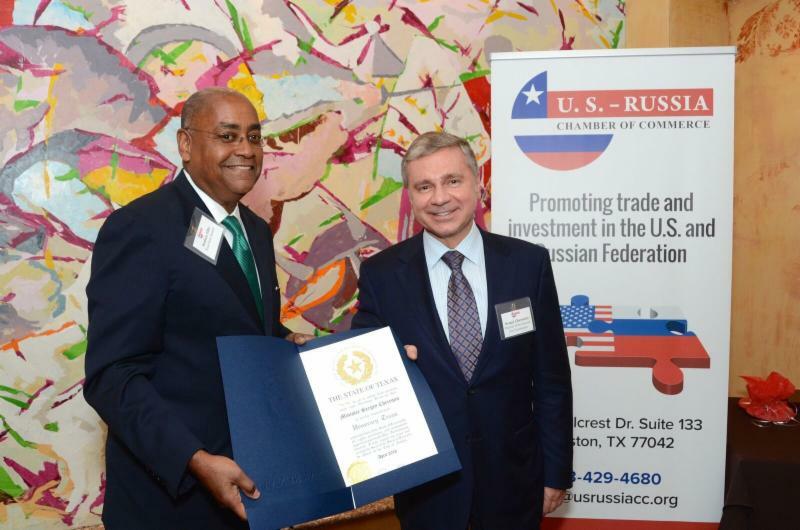 Mr. Cheremin received a warm welcome from Houston and was greeted by State Senator Rodney Ellis, who presented Cheremin as an honorary citizen of the state of Texas and County Judge Ed Emmett’s Office, Ryan Walsh, who presented Cheremin with a state flag of Texas that has flown over the state capital.